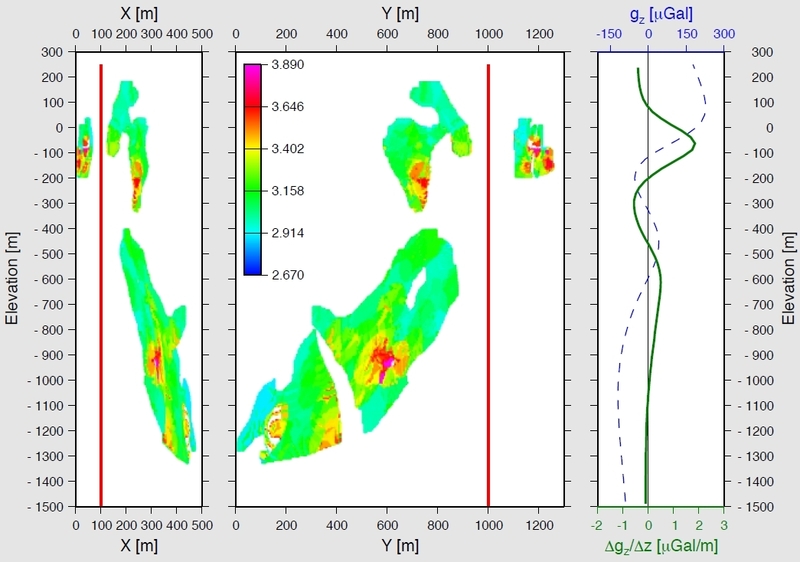 Modeling of the Expected Borehole Gravity Response shows its Potential Value for Mining Exploration. Kelly Lake is a deep Cu-Ni magmatic deposit located in the Sudbury Mining Camp, Canada. The Kelly Lake deposit has been well documented by intensive drilling; zone densities have been estimated from drill core and gamma-gamma logging. Due to the considerable depth of the Kelly Lake deposit, the surface gravity anomaly is negligible. Using the known density distribution for this deposit the gravity profile for a near-miss hole was modeled. This model clearly shows that the deposit could be detected from a near-miss borehole.